Featuring POS machine, Touch/Digital Cash Register and Mobile POS machine. Pos Machine:Featuring a 14” wide screen display, true-flat PCAP touch supporting multi-touch, energy efficient ARM based processor and various I/O expansions in a beautiful crafted body, and couples with Android 4.4 operating system, the XT-2614Q sets a new standard for the every entry level POS. 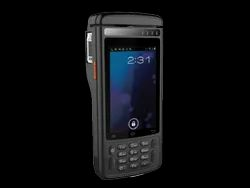 Mobile POS machine: The All-In-One Rugged Transaction Terminal MPOS800 Device is a Lightweight Integrated Terminal with all the modules required for a Mobile Point of Sale built into a sleek monolithic design. It houses an Aadhar Compliant Fingerprint Scanner, a 2” Thermal Printer, 2D Barcode Scanner, Magnetic Swipe Card Reader(MSR), Contact and Contactless IC Card Reader and an UHF RFID Reader (Optional). Featuring a 14” wide screen display, true-flat PCAP touch supporting multi-touch, energy efficient ARM based processor and various I/O expansions in a beautiful crafted body, and couples with Android 4.4 operating system, the XT-2614Q sets a new standard for the every entry level POS. Slimmer than ever! Every curve and detail of the XT-2614Q is carefully thought out to make itself one of the most visually desirable terminals in the market. The XT-2614Q equips with the foldable base that can be configured into “Flat Folded Mode”, “Low Profile Mode” or “Full Extended Mode” depending on the application. Solve the fan maintenance issue and provide silent mode operation, which is ideally suited for retail stores or hospital environments. In addition to the main screen, the XT-2614Q has an extra VGA output connected to 2nd customer display for advertising and customer communications. 3G communiocation Optional, dual SIM SlotBuilt in MSR Optional, 3 trackBuilt in RFID Optional, support MIFARE classic 1K and MIFARE UltralightBuilt in FPU OPtional, optical typeBuilt in Scanner Optional, 2d imagae scanner. 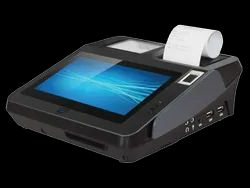 The Touch Cash Register(TCR) comes with easily configurable features that meets various table service, quick service and retail applications with simple and easy set up at field level.TCR supports various pos peripherals attachment like KOT printer, barcode scanning, cash drawer, GSM module for online & second side customer display. TCR comes with inbuilt powerful reporting features that helps to run the business efficiently. Table Service: Casual Dining, Family Style Restaurants, Bar/Restaurants. QSR: Bakery, Pizza, Coffee & Tea Shops, Ice Cream Parlours, Food courts, Kiosk etc. Audio Headphone 3.5mm Speaker,Voice Call. MPOS800 Device is a Lightweight Integrated Terminal with all the modules required for a Mobile Point of Sale built into a sleek monolithic design.It houses an Aadhar Compliant Fingerprint Scanner, a 2” Thermal Printer, 2D Barcode Scanner, Magnetic Swipe Card Reader (MSR), Contact and Contactless IC Card Reader and an UHF RFID Reader (Optional). MPOS800 runs the latest Android OS 6.0 ensures that there is flexibility for Application development suited for different use cases on the field right from Financial Inclusion Application to Van Sales, Field Sales Automation and many others. The power-packed Qualcomm Quad Core 1.2 GHz processors with 1 GB RAM and 8 GB ROM enables the highest degree of future-proofing capability. This industrial grade superscalar multi-engine processor offers faster performance with lower power consumption providing the speed and reliability. The Mobile Transaction Terminal’s tough and durable casing is built to withstand multiple 4 feet drops to concrete and 500 times 0.5 m tumbles. This is also an IP54 rated device designed for dust and moisture protection. The high level of durability ensures minimal business downtime while also reducing the repair and maintenance costs. MPOS800 has support for Near-Field Communication (NFC) and Bluetooth Low Energy 4.0 (BLE) technologies that are creating a new wave of Payment Methods. There is support for both Contact IC and Contactless IC Cards too inbuilt to ensure that the device is truly an All Integrated Transaction Terminal.